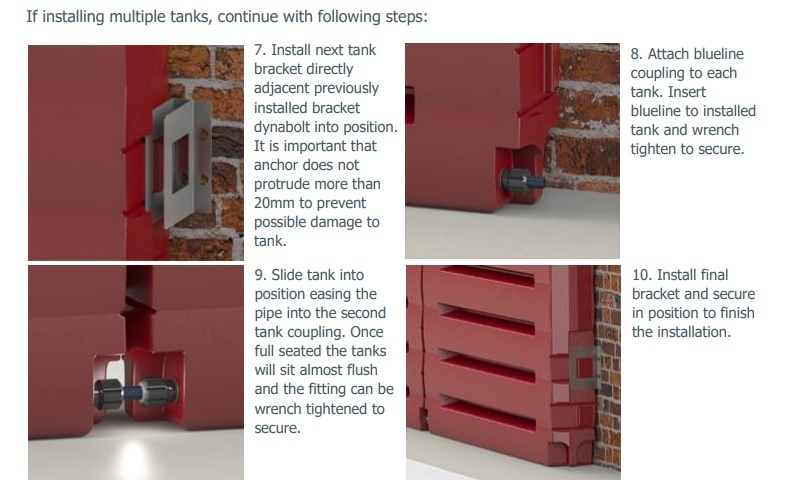 When deciding the best location for your tank, keep in mind that the closer your tank is to your downpipe, the simpler it will be to install. Slimline tanks which are normally located alongside a house are therefore a good option, especially our Razor slimline tanks which are designed to be bracketed to your house and consume very minimal space. Aqua Spring models, a slim (500 to 1,050mm) design with a rounded smooth finish available in capacities from 650 to 5,000 litres. Modular models, a slim (500 to 600mm) design available in corrugated or flat surface finish, that can be placed on stands. Razor slim tanks, a very slim (290 to 560mm) design that is square with a smooth finish. 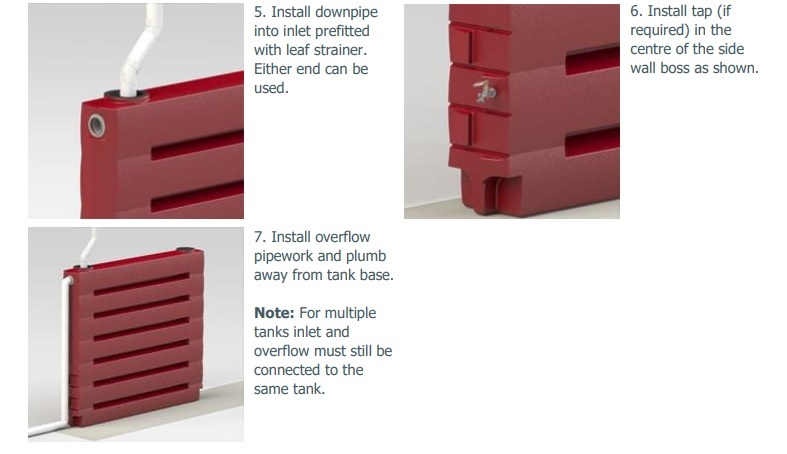 If you have selected one of Team Poly’s Razor slimline tanks, then this article will provide detailed installation instructions to prepare you for what to expect. 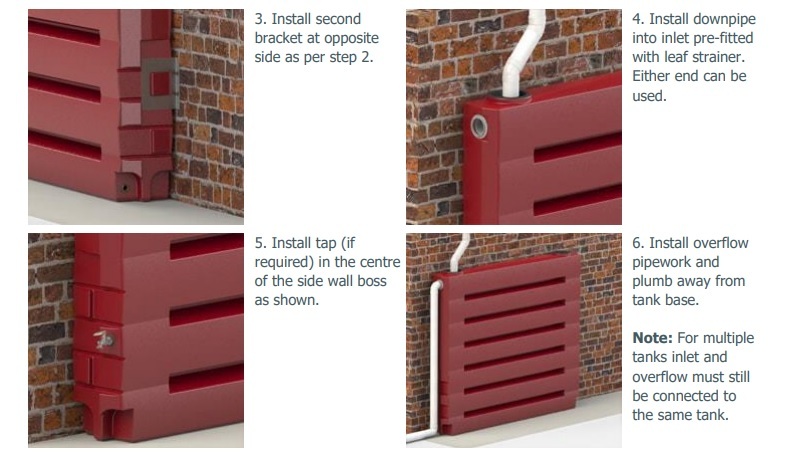 We also highly recommend reading over our general article for installing slimline tanks. 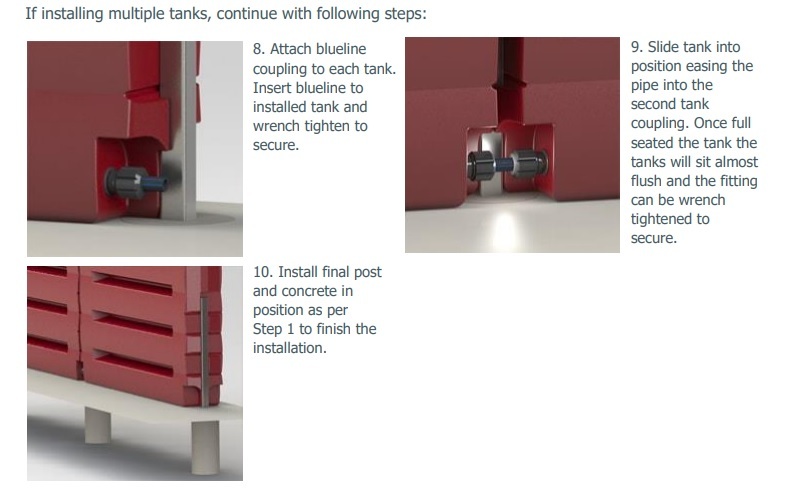 There are two methods when it comes to installing our Razor slim tanks: 1) Bracket Method, or 2) Post Method. Due to their thinness, you will need to follow one of these methods to secure it against a wall which will prevent it toppling over and possibly hurting someone. As you can see, Team Poly’s Razor tanks with their ultra slim design and method of attaching them to the wall of your house are a great way to save space on your property. They look great against your house and easily be setup in a multiple tank arrangement. 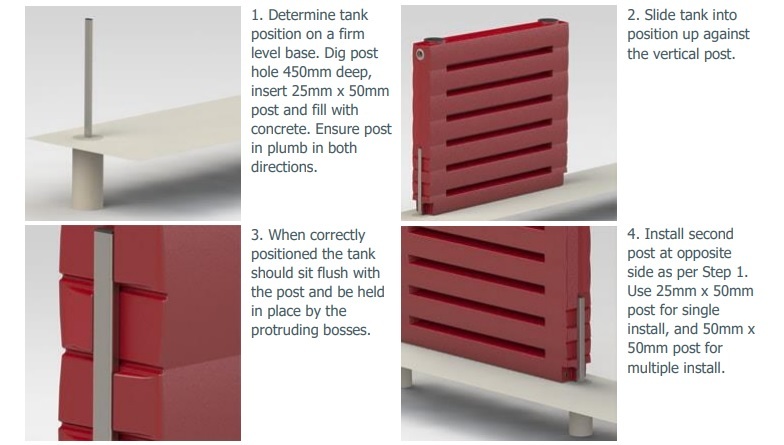 If interested in our uniquely designed Razor slimline tanks, contact us today to receive a quote.